Peaccel and SeSaM-Biotech today jointly announced the signature of a collaboration agreement. Under the agreement, Peaccel and SeSaM-Biotech will develop improved enzyme variants of a commercially important enzyme family. These variants will be generated with Peaccel’s proprietary iSAR machine learning technology, which enables the rapid prediction and identification of improved enzyme mutants. SeSaM-Biotech will express and characterize the enzyme variants with its in-house protein expression platforms. PEACCEL is a service company specialized in protein engineering and design and synthetic biology. The company provides predictive product discovery solutions to biotech & pharmaceutical companies. Its unique expertise and proprietary machine learning in-silico discovery platform iSAR are dedicated to rapidly identify improved protein variants (enzymes, antibodies, peptides). As iSAR efficiently predicts and identifies proteins with improved properties it reduces the time, costs and risks associated with engineering of protein therapeutics, industrial enzymes and synthetic pathways. 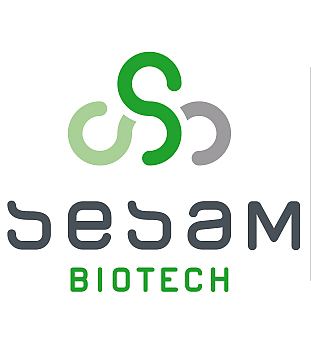 As an ‘all-in-one’ protein engineering service provider, SeSaM-Biotech improves industrial enzymes for all industry sectors that employ enzymes in their products or processes. The track record spans a range of enzymes including amylases, lipases, esterases, cellulases, glucose oxidases, monooxygenases, phytases, proteases, pectinases, polymerases and isomerases which have been improved towards higher activity, thermal resistance and solvent stabilities. With cutting-edge technologies for mutagenesis like SeSaM and OmniChange, diverse expression platforms, computational modelling of enzymes and individually adapted screening assays, SeSaM-Biotech provides tailored Directed Evolution of enzymes to clients across the globe to make their products eco-friendlier, more cost effective and more valuable.